Alfred Heineken’s creative spirit went well beyond marketing and publicity; he also had progressive ideas about re-cycling, the inspiration for which came from a visit to Dutch Antilles in the early sixties, where he had been amazed at the amount of casually discarded garbage that he saw on the islands. Some of that waste was his beer bottles. 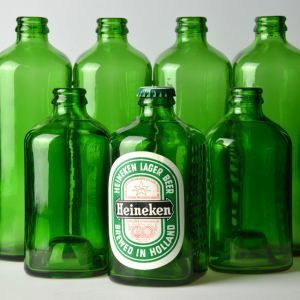 Heineken approached the architect John Habraken, director of the Foundation for Architects’ Research (SAR), with the idea of designing a re-usable bottle that could serve as a building block after use. It seemed that a project had been born. 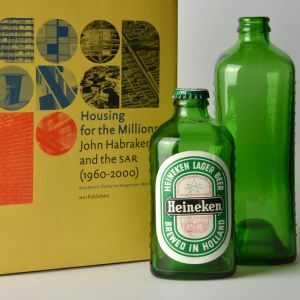 Habraken designed a bottle that could indeed be used for building purposes, but it was not in the least like the beer bottle that Heineken had envisaged. Habraken’ second design was the WOBO bottle with which we are now familiar. A bottle with flat sides, provided with relief and a concave bottom. 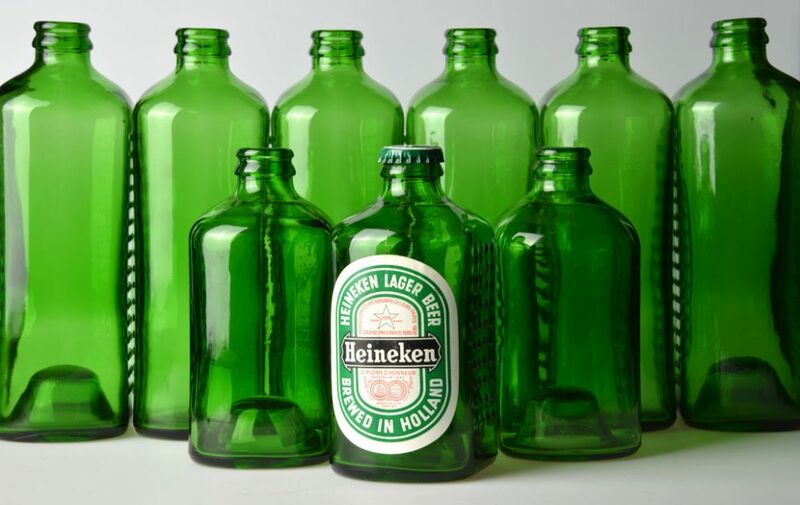 In 1964, Heineken had a total of 100,000 of these bottles (both 35 cl. and 50 cl.) 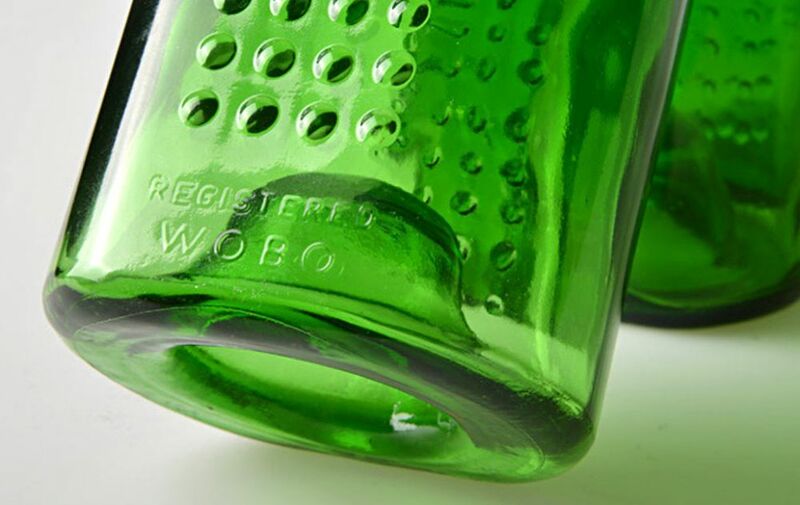 made by the Vereenigde Glasfabrieken in Leerdam, and had this design patented world-wide. Despite the good intentions, the bottle met with resistance, in particular from the marketing division of Heineken. 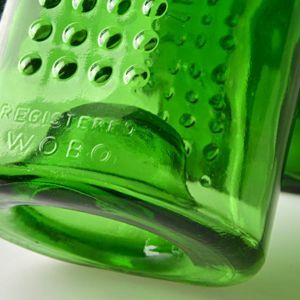 There were concerns that it would damage the image and open the company to claims over wrong usage of the bottle. 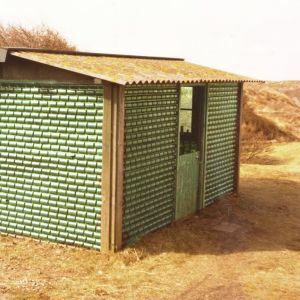 Nevertheless, Heineken had a garden-house built in his own garden out of WOBO bottles, after which controversy over the project quietened down. 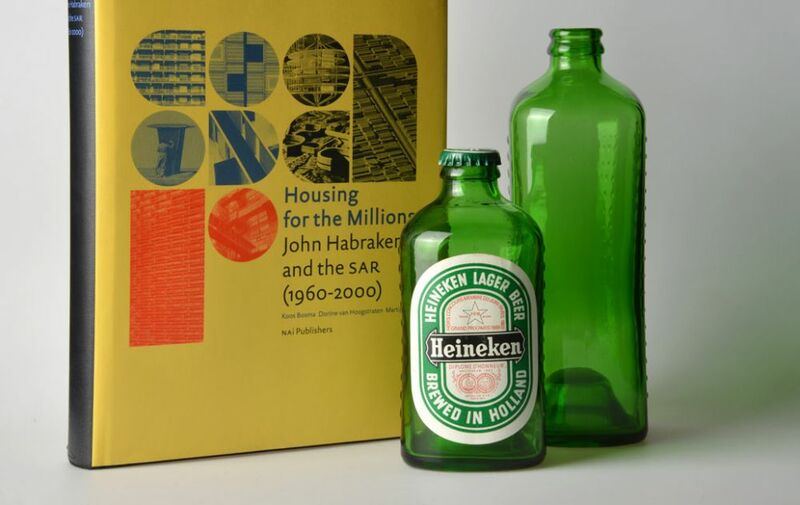 Ten years later Habraken again approached Heineken following the publication of ‘Garbage Housing’ by Martin Pawley, a British critic and professor of architecture and design. 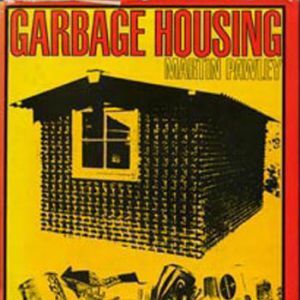 Pawley had outspoken ideas over the recycling of waste and had featured Heineken’s WOBO garden-house prominently on the cover of his book. 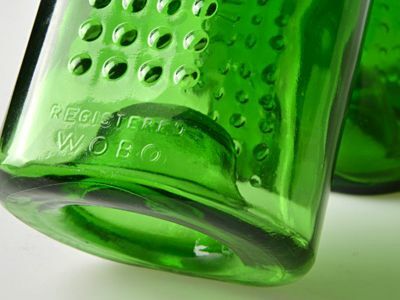 Habraken wrote to Heineken: “The WOBO initiative of ten years ago is now widely seen as the first industrial initiative to develop recyclable packaging”, to which Heineken responded by affirming once again his support for the project. To develop the project in a wider context, the SAR team also approached Dura, Philips, Van Leer Packaging and Pon’s Automobielhandel. The idea was that with the help of materials from these industries, a completely WOBO building would be constructed on a site of the Technical University Eindhoven, and would serve as the offices of SAR. Unfortunately the building was never realized; the governing body of TU Eindhoven and Alfred Heineken were unable to reach agreement.